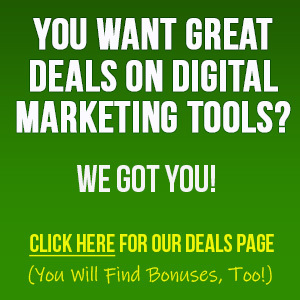 Genius Lander has already revolutionized the way people create LANDING PAGES and BUILD LISTS. It blew the minds of all the beta testers and all the first adopters have raved about results they have been getting while using it. 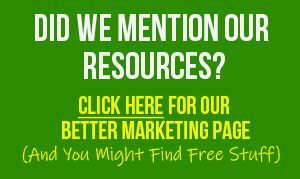 If you're list building, running marketing or ad campaigns and want to segment your audience with laser like precision or simply want to get LOTS more eyeballs on your offers then the original Genius Lander works incredibly well. The foundational product hit all the marks that we wanted it to upon roll out and with comments from all the smart people that hopped on the boat when it first landed, we have been able to add more bells and whistles to make this a truly exceptional product! When asked why PromoteLabs, Inc. has spent so much time on a product that seemed to work without any updates, Jeremy Gislason says, "it is working well, yes, now it will work, be user friendly and have many new options that our customers had asked to have included ." 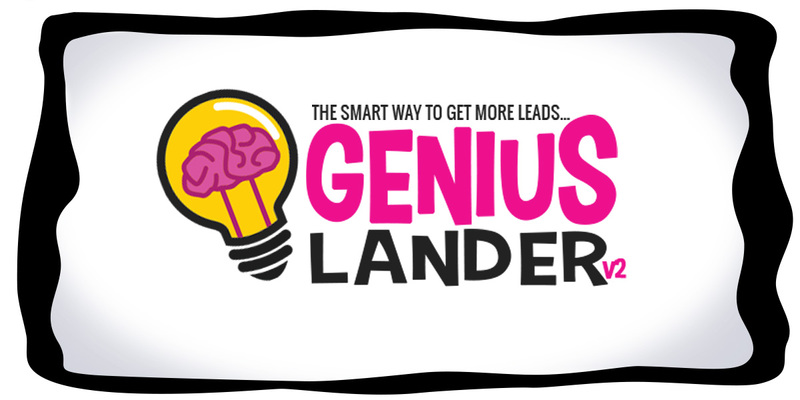 To Learn More About The Genius Lander V2 App - The Smart Way To More Subscribers & Bigger Profits With Our Breakthrough, Push Button Landing Page Builder... Go To www.GeniusLander.com. 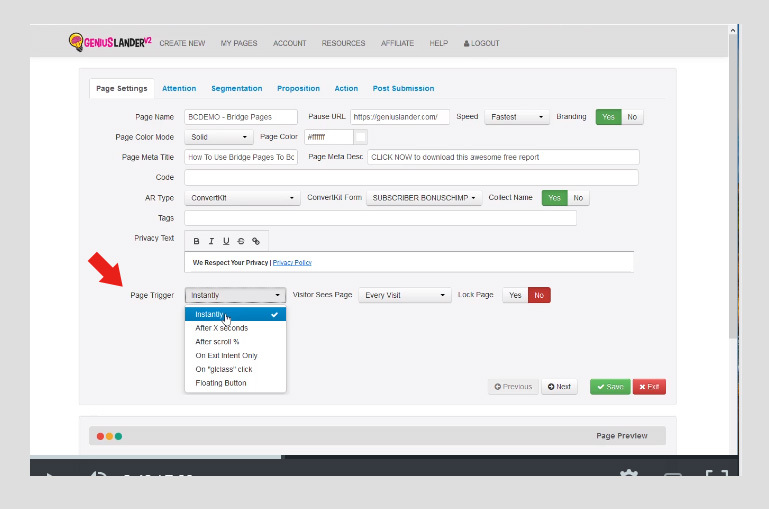 All these new features have been chosen based on our extensive split testing and visitor analysis to deliver the best possible conversion rates and we'll continue to test and track to ensure that, going forward, user's pages deliver the highest levels of conversions. Hey, for you smart first adopters...Feel free to login to your account to use these new features, as you are reading about them! Now for the part everyone has been waiting for.... drum roll please! A landing page has one goal. 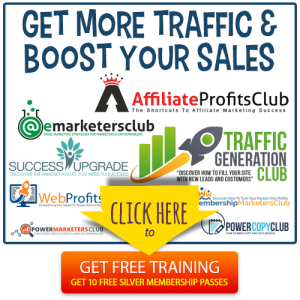 And that goal - get your traffic to perform an action. 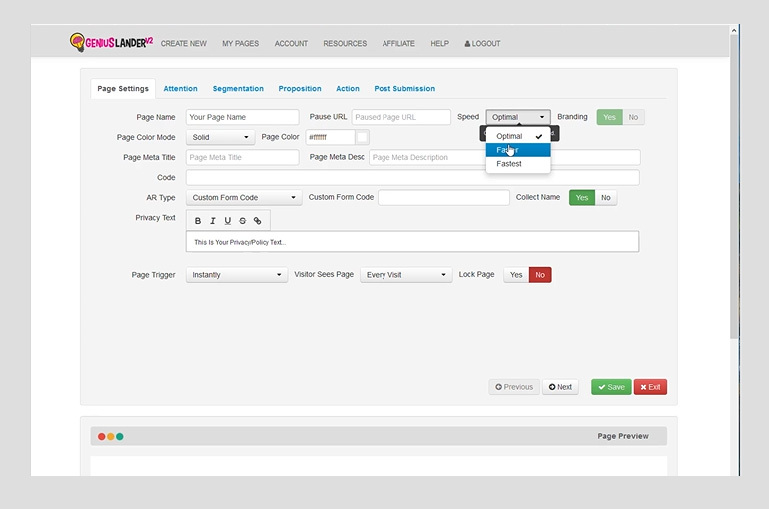 The speed of your animations may (or may not) help your page convert but now you have the control to test out different speeds on your animations and see which sets the best tone and converts better. The control is in your hands now! You can now play a sound anywhere without autoplay restrictions when the animations start! 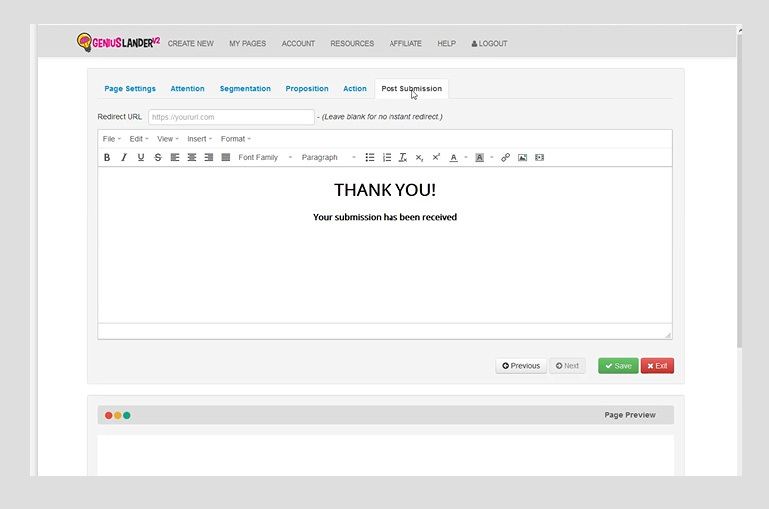 We have added an easy to use WYSIWYG editor for Thank You pages... Now add Video, Images, Hyperlinks and More! Now, remember really good landing pages are designed to be very simple and do nothing more than get your web visitors to perform an action. But many of you asked for more options on the Thank You pages and we listened- And if you are a current subscriber, you do not need to worry - The text of all current pages have been copied for everyone to the new editor in their accounts (because we are cool like that). It's now much easier to access your panel with a simple light box featuring dropdowns that let you access your snippets using quick share, embed on your webpage, & download the code. 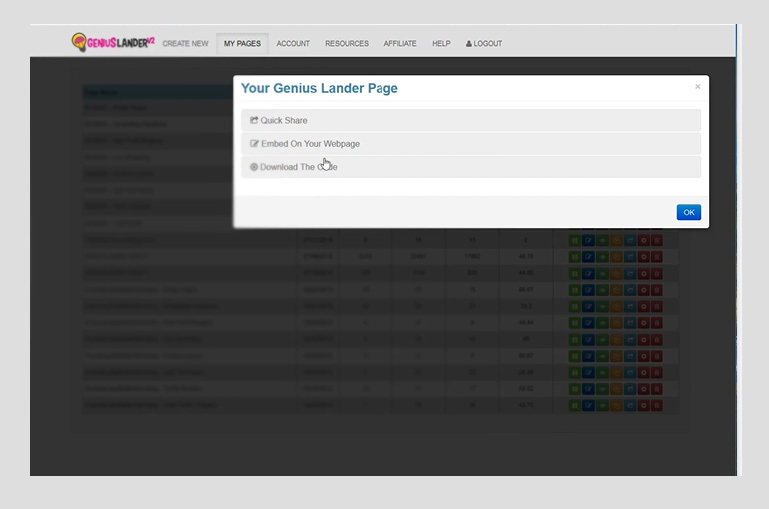 Easily select Full-Screen On (or Off) when choosing a snippet to embed Genius Lander V2 on your webpage. 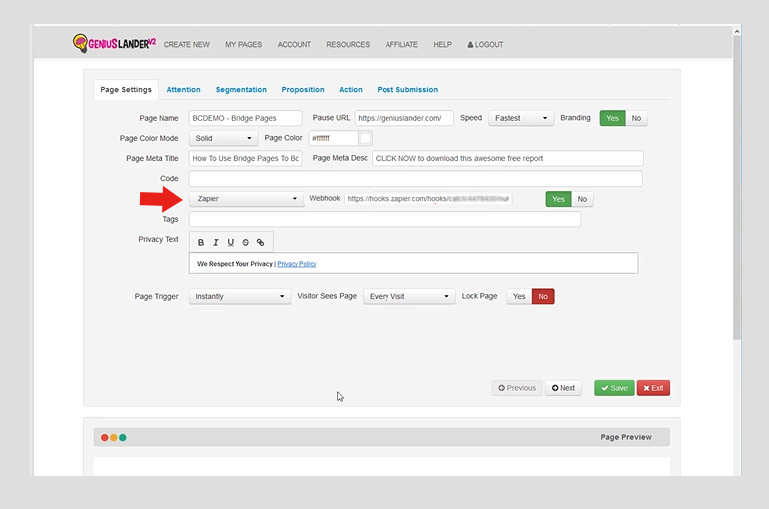 You will also want to notice that along with the standard Page Triggers of Instantly, After X Seconds, After Scroll % And On Exit Intent Only... We added On "glclass" click and Floating button. You can test out how nice the floating button works but clicking the blue button on the right side of this page.. Give it a try!>>> The buttons are great for true one time offers because they disappear after being clicked! 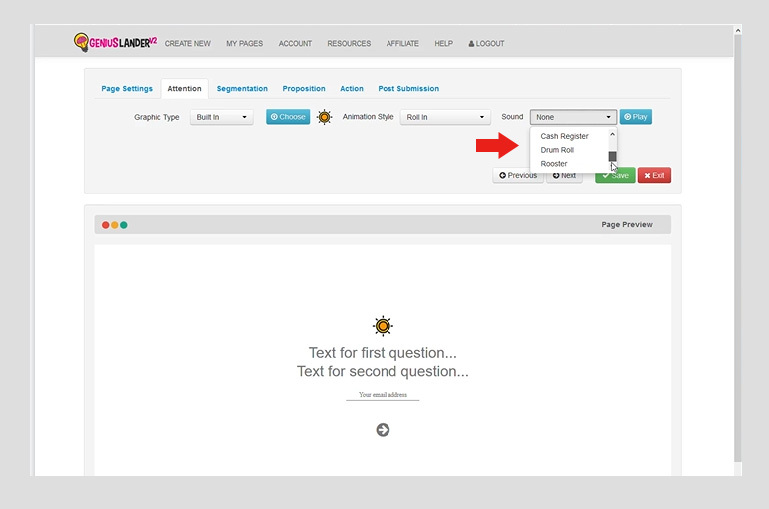 The "glclass" was especially created for advanced users that create their own pages. So, basically on any element on your page (IE: A DIV,Button,Link...etc.) you can add a CSS class called "glclass" then that element automatically triggers the landing page whenever it is clicked. Genius Lander V2 now supports Zapier Webhooks for Zapier integration! Instantly connect your Zapier Webhook with Genius Lander V2 for simple, easy, powerful Zapier integration! 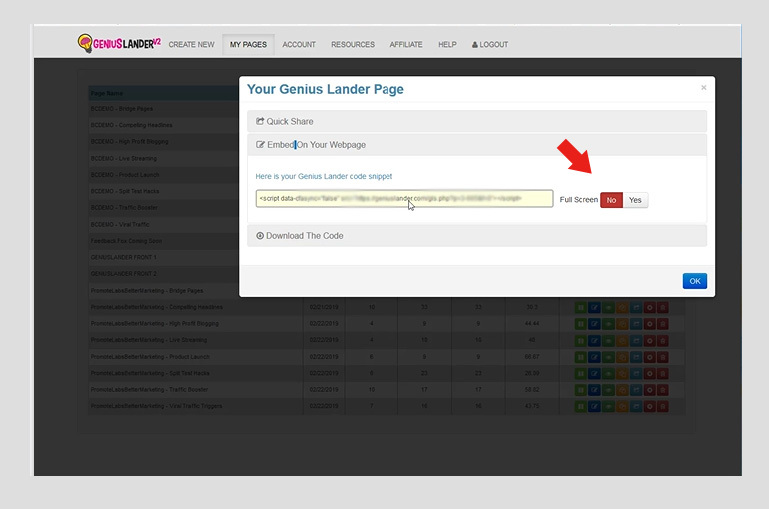 We are adding the tools you need and simplifying the process of adding them to Genius Lander V2 to make them easy for you access. NextPerkZilla Update: A Year In The Making!